If you love to read, if you want to love to read, if you have a struggling reader, if you are looking for amazing booklists for any age, if you want to be astonishingly inspired to make meaningful and lasting connections with your kids, or if you want to create a family reading culture - stop what you are doing right now & add Sarah Mackeznie’s new book, The Read Aloud Family, to your amazon cart! I found Sarah early in my parenting journey a few years ago through her blog & I can honestly say she has changed. my. life. As a fellow ENFJ, I fell in love with her blog, her podcast, The Read Aloud Revival, and have successfully implemented her ideas & followed her free, up to date booklists, happily to the T! (my current favorite Books Boys Love). 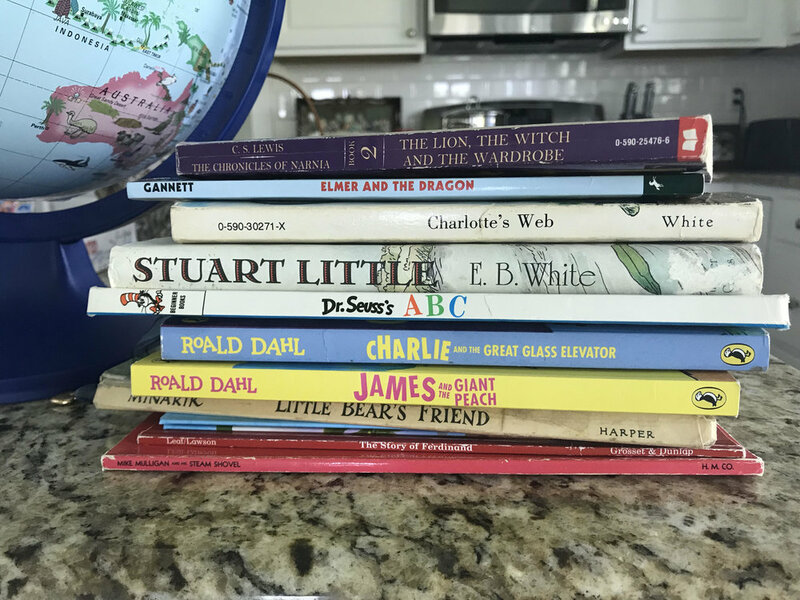 As a past librarian herself, mother of 6 kids from toddler to teen & extensive expertise with literature, she will more than inspire you to quality and quantity reading time to your family life. It is no new news how transformative the role of books and story can have in our life. Jesus did leave us with his WORD, after all, and was the expert in using story to convey His message. I remember reading that the great Saint Pope John Paul II’s most treasured possession was books. Prior to his pontificate, a friend visiting him commented on his room, where do you even sleep? The room was so filled with books that he couldn’t spot this future saint’s bed. I could easily quote her entire book, (I may have highlighted the entire thing ;) - that is how good it is! 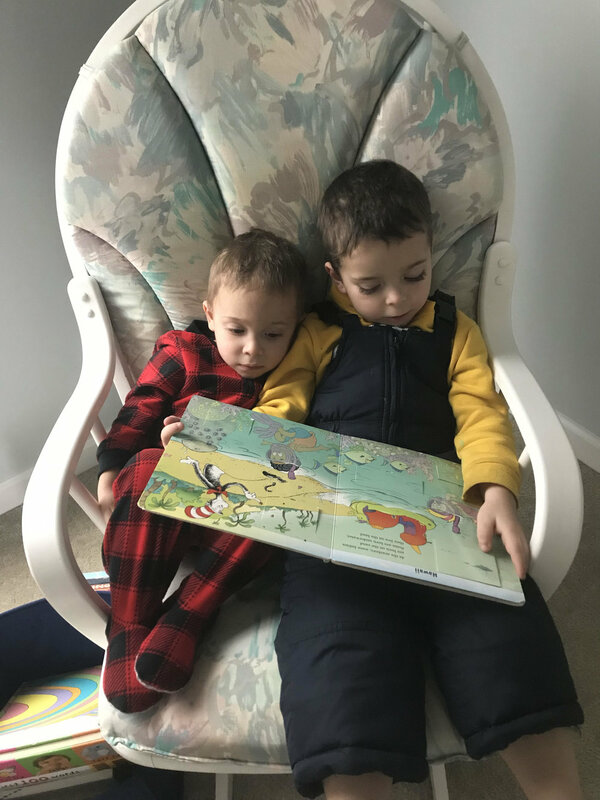 Thanks to Sarah, in our home we are “creating our family culture around books,” finding joy and family unity in sharing stories, and almost never go a day without reading aloud together! Use your library. Use the RAR booklists and save the books you want ahead of time so they will all be ready for you to just grab when you get there. Read Aloud. Every day if you can. One of my favorite Sarah Mackenzie’s quotes, “If you read aloud 10 minutes every other day to your kids, that would be reading 30 hours over the course of a year. 30 hours! You could read aloud the entire Chronicles of Narnia TWICE in that amount of time!" Read a book yourself. Actions speak louder than words with anything with we are trying to instill in our children. Even if its the same 1 or 2 books over the course of a year, your bible, your cookbook or light novel, anything counts. Listen to The Read Aloud Revival Podcast. Start with episode 1 and I doubt that you will not become instantly hooked to hear more. And of course, read The Read Aloud Family.